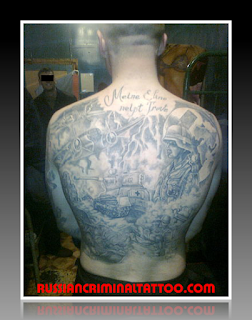 Meine Ehre heißt Treue - "My honour is called loyalty" was the motto of the Nazi organisation SS. In a National Socialist context, the phrase Meine Ehre heißt Treue refers to a declaration by Adolf Hitler following the Stennes Revolt, an incident between the Berlin Sturmabteilung (SA) and the SS. In early April 1931, elements of the SA under Walter Stennes attempted to overthrow the head of the Berlin section of the Nazi Party. As the section chief Joseph Goebbels fled with his staff, a handful of SS men led by Kurt Daluege were beaten trying to repel the SA. After the incident, Hitler wrote a letter of congratulations to Daluege, stating ... SS-Mann, deine Ehre heißt Treue! ("Man of the SS, your honour is loyalty"). Soon afterwards, Reichsführer-SS Heinrich Himmler, adopted the modified version of this phrase as the official motto of the organisation. Ordnance dagger of the SS (Collection Paul Regnier, Lausanne). The motto Meine Ehre heißt Treue is inscribed on the blade. The notion of fidelity did thus not refer to an ideal or an ethic, but to Hitler personally and his delegates. The identification of "fidelity" with "honour" entailed, in the negative, the loss of honour by disobeying orders. Hence, "honour" lost its traditional meaning: honour in disobeying illegal and criminal orders became an oxymoron, as only a blind obedience was deemed honourable. In the ethos of the SS, the refusal to commit crimes ordered by a leader constituted a dishonourable deed. This nazification of vocabulary was aimed at obtaining the sort of unconditional obedience that law could not provide, as it required a pledge to traditional ideals of chivalrous virtue.